You are currently browsing the archives for the Table Lamps category. When I first was looking for some different types of lamps that I might be able to have in my living room, I was focused on a bunch of lamps that were fairly plain in design. I didn’t have very many bright colors in my decor so I though plain designs would be better. I didn’t really like most of the lamps I saw though because they were just too plain. I decided that it might be a lot better if I were able to have some lamps that would stand out a bit more since these would contrast with the rest of the space and help to make it a bit more interesting. 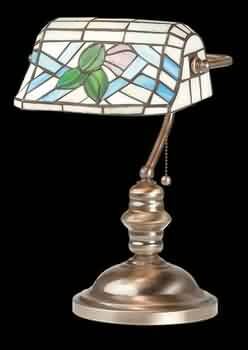 I started to look for a lot of different types of Tiffany style table lamps since these were bright and beautiful. It was exciting to have these lamps in my home.